The band hangs out at McCabe' Guitar Shop in Long Beach, CA, trying to "figure out how not to have to work for a living." Perform in the LA/Orange County Folk-rock scene in 1920's pinstripe suits & cowboy boots. Early line up includes future Rock And Roll Hall Of Famer Jackson Browne. 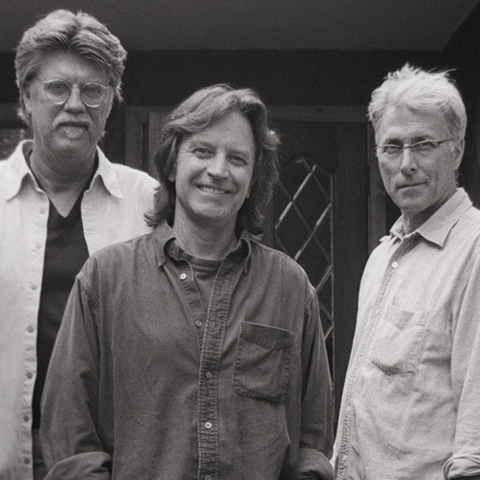 The band records Nitty Gritty Dirt Band and Ricochet LPs; "Buy For Me the Rain" hits the Top 40 on the Pop charts. The band appears on Johnny Carson's Tonight Show, living in the "Dirt House" with Duane & Gregg Allman. Appeared in concert with Jack Benny and The Doors in the same week. The band records Rare Junk and Alive, stay in the Wallowa Whitman National Forest, Oregon, for 4 months filming "Paint Your Wagon" with Clint Eastwood and Lee Marvin. Play Carnegie Hall as Bill Cosby's opening act, and jam with Dizzy Gillespie. The band relocates to Colorado, and records Uncle Charlie and All the Good Times, "Mr. Bojangles" makes the Top 10 Pop charts. In August 1971 the band ventured to the uncharted wilds of Nashville to record Will the Circle Be Unbroken, the platinum selling 3 record set. Guest stars include Roy Acuff, Maybelle Carter, Junior Huskey, Doc. Watson, and many more. The Roy Acuff duet of "I Saw the Light" hits the country charts, and the album gets two Grammy nominations. The band tours Japan. The band records Stars and Stripes Forever and Dream LPs, and play at an amazing variety of shows, including bluegrass festival one day before opening for Aerosmith. Play to a crowd of 190,000 at a Sedalia MO "Rock Festival" in 103 degree heat, performing as a 4-piece band. At the end of 1975 Ibbotson departs. The Dirt Band becomes the first American group selected by the Soviet government to tour the USSR, spending a month in Russia playing to live audiences and a massive TV audience of 145,000,000. Tour incessantly, and release Dirt, Silver and Gold, a 3-record LP. The band releases The Dirt Band and An American Dream LPs, and the single "American Dream" with Linda Ronstadt goes to #13 on the Pop chats. The band also appears on Saturday Night Live and provides arrangement and backing for Steve Martin's million selling recording of "King Tut." The band releases "Make a Little Magic and Jealousy," and the single "Make a Little Magic" with Nicolette Larson makes the Top 20 pop charts. Ibbotson rejoins the band and they return to Nashville to record Let's Go, and "Dance Little Jean" goes Top 10 Country. The band also records Plain Dirt Fashion andPartners, Brothers, and Friends. "Long Hard Road" becomes the Dirt Band's first Number One record, and the band eventually has 17 consecutive Top 10 country songs. They receive nominations from both the CMA and ACM, and perform at the 1984 Olympics in LA and at the first Farm-Aid concert. The Twenty Years of Dirt collection is released, coinciding with the band's 20th anniversary of their first performance at the Paradox Club in Orange County on May 13, 1966. The Anniversary concert in McNichols Arena in Denver is a sell-out, with guests such as Ricky Skaggs, Emmylou Harris, Doc Watson, John Prine, and others. At the end of 1986 John McEuen departs band. In early 1987 former Eagle Bernie Leadon joins the lineup. The band releases Hold On, it's 19th LP, with the Number One singles "Fishin' in the Dark" and "Baby's Got a Hold on Me." They appear on both the Today Show and the Tonight Show in the same week, and tour Europe. Plain Dirt Fashionand 20 Years of Dirt are certified gold in Canada, and the band releases Workin' Band, scoring three more Top 10 singles. The band releases More Great Dirt, the second authorized greatest hits LP. Will the Circle Be Unbroken Vol. II is hailed internationally for uniting old and new singers, such as Roy Acuff, Johnny Cash, Earl Scruggs, Bruce Hornsby, John Hiatt, Chris Hillman, Roger McGuinn, and others. Circle II goes gold in the US and Canada, and wins 3 Grammy's and the CMA Album of the Year. A long-form video documentary The Making of Will the Circle be Unbroken II is released on Cabin Fever Entertainment. The band returns to the Soviet Union for 3 sold out performances, and national Soviet TV appearances. The Rest of the Dream is released in June 1990, produced by the band and Randy Scruggs, who produced Circle II. In late 1990, the band goes on a major tour including Canada, Europe, and Japan. Nitty Gritty Dirt Band commemorates their 25th anniversary by recording Live Two Five in Red Deer, Alberta, Canada produced by T-Bone Burnett. In 1992 the band collaborates with Irish folk legends The Cheiftans on their Grammy award winning project Another Country. The prestigious Aspen School of Music creates their first scholarship honoring a pop group in the band's name. 20 Years of Dirt is certified gold at the end of 1993. In early 1994, the band returns to the studio and their origins, recording Acoustic, a self-penned, self-produced project that spotlights the "wooden" sound they have championed for years. In 1996, the band records a duet with Karla Bonoff, "You Believed in Me", which appears on the MCA Olympic album One Voice. They also record, "Maybe Baby" for the Buddy Holly tribute album Not Fade Away on Decca Records, and in 1996 celebrate 30 years on the road. In 1997 they release The Christmas Album, followed by Bang! Bang! Bang! in 1999. In 2001 founding member John McEuen returns to the band after a 14 year absence. In Spring 2002, Capitol Records releases the 30th Anniversary Edition of the landmark Will the Circle Be Unbroken followed several months later by Will the Circle Be Unbroken Vol. III. That collection garners multiple Grammy nominations and a CMA nomination for Vocal Event with Johnny Cash for "Tears In The Holston River." In early 2003 the band produces a PBS Television special highlighting performances by guests from all three Circle projects. Capitol releases the box set Trilogy containing all three projects and a DVD of the TV special. NGDB records a duet with the legendary Kris Kristofferson for the Grammy nominated Carter Family tribute The Unbroken Circle. In 2004 the band releases Welcome To Woody Creek their first all new studio project in five years. At the end of 2004 Ibbotson departs the band. The band begins the year by winning a Grammy for Best Country Instrumental for "Earl's Breakdown." The song features Earl Scruggs, Randy Scruggs, Jerry Douglas and the late Vassar Clements. The band tours throughout North America in support of the critically acclaimed CD Welcome To Woody Creek. The band starts the year with an extensive swing through Canada…And prepares for the launch of their 1st studio album in five years; Speed of Life. The band continues its non stop touring with notable stops at Bonnaroo, Merlefest, Stagecoach, Hardly Strictly Bluegrass Festival and many others. Will the Circle Be Unbroken celebrates it’s 40th Anniversary with a remastered Vinyl release. Fishin’ in The Dark is certified digital platinum by the RIAA. The band starts the year with the induction into the Colorado Music Hall of Fame. While in the midst of their 49th year touring the band works on several projects leading up to their 50th Anniversary. In September of 2015, they commemorated their 50th anniversary with a sold out show at the Ryman Auditorium. Taped for a PBS special which debuted in March 2016, the concert included guests John Prime, Sam Bush, Vince Gill, Jerry Jeff Walker, Alison Krauss, Rodney Crowell, Byron House, Jerry Douglas and Jackson Browne in addition to former member Jimmy Ibbotson. On September 30, 2016, Circlin’ Back: Celebrating 50 Years, a live CD and DVD was released. The Years 2016 and 2017 the band set out on an 18 month Anniversary Tour, “50 Years of Dirt” Upon completion of the tour John McEuen departed the band.